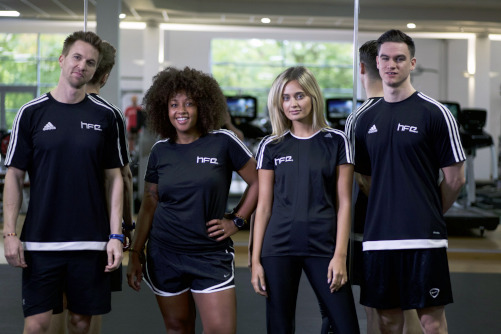 Fitness tutors and assessors are likely to work for fitness industry training providers or colleges where they’ll teach and assess vocational qualifications. Like most positions in the fitness profession, this is more than a job. The role that involves meeting a wide range of people of all ages and from various walks of life. The health and fitness industry is a rapid growth industry that is a diverse, exciting and rewarding place to work. There’s never a shortage of job opportunities for fitness tutors and assessors. If you choose the training provider route, the exact nature of your work will vary considerably. Some providers deliver their training courses directly which means you will likely work Monday to Friday, teaching and supporting students through the duration of their whole course. All elements of these courses are taught face-to-face in a classroom and or practical exercise area. Other providers use a blended learning model. This simply means that students participate in a period of distance-learning followed by a shorter, more intense practical training workshop. Invariably, fitness tutors will be involved in both formative and summative assessments to ensure their students possess the required skills and qualities to successfully achieve their chosen qualification. As many training providers deliver their courses nationally, you may be expected to travel from venue to venue; expenses and accommodation are usually provided, however rates and benefits can vary widely from one provider to the next. It’s also worth noting that it’s common practice for training providers to impose an ‘exclusivity of service’. This contract clause prevents fitness tutors and assessors from working for rival training providers. Fitness tutors are required to hold a technical qualification at a level above what they plan to teach or assess. For example, if you’re planning on teaching a Level 2 Gym Instructor course, then you would be expected to hold a minimum of a Level 3 qualification in the same discipline, most likely personal trainer. Teachers, trainers and assessors must have excellent communication and interpersonal skills in order to effectively transfer knowledge and skills to students. The role typically requires high levels of energy, enthusiasm and a passion for helping people achieve their goals. A thorough understanding of the exercise and fitness industry is also essential because tutors and assessors will need to be clear as to how the knowledge and skills they are developing translate to the role in question (e.g. personal trainer, Yoga teacher etc). Above all else, tutors and assessors need to be leaders if they are to inspire the next generation of fitness professionals. Most exercise and fitness industry tutoring and assessing jobs outside of a college environment will require some degree of travel, especially when delivering training on a commercial basis to a health and fitness club. Pay can vary dramatically between training providers and colleges. Tutors, who posses the teaching qualifications listed above, can typically earn between £100 to £160 a day. Some may earn up to £160 a day if teaching or assessing Level 3 programmes. Tutors who hold higher level qualifications (CertED or PGCE) can earn between £100 to £160 a day. Salaried fitness tutors typically earn between £15,000 and £22,000 depending on the training organisation in question and the model of delivery. Click to find out about opportunities to become a fitness tutor and assessor with HFE.